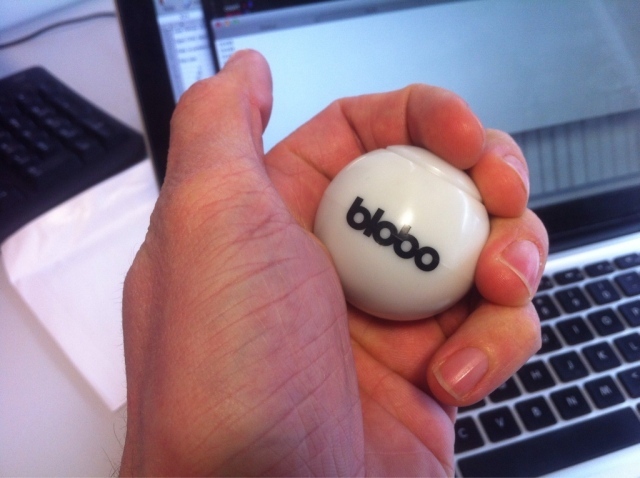 The Blobo is an interesting game controller invented by a Finnish company. Its a “soft” ball containing a pressure sensor (so you can squeeze it), accelerometers (so it knows how it is moving) and magnetometers and a gyro. Theres a few sellers getting rid of them on Amazon at the moment for a fiver a pop (down from £45). I didn’t even look at the accompanying game as it crashed out on my mac. The great thing about them is they connect via bluetooth, and present data as a bluetooth serial port so could be used for all kinds of things. Jussi Virkkala documented the message format over on http://www.neuroupdate.com/blobo but didn’t say much else. I put together some quick python to parse the messages sent out by the Blobo over bluetooth. As I was interested in just the pressure data (how hard it is being squeezed) then I just pulled that out and printed to screen. To pair the thing with my mac in the first place I had to tell the mac not to try and use a passcode.